This exciting event is brought to you by Wagner’s Quilts and Conversation in Arapahoe, Nebraska. 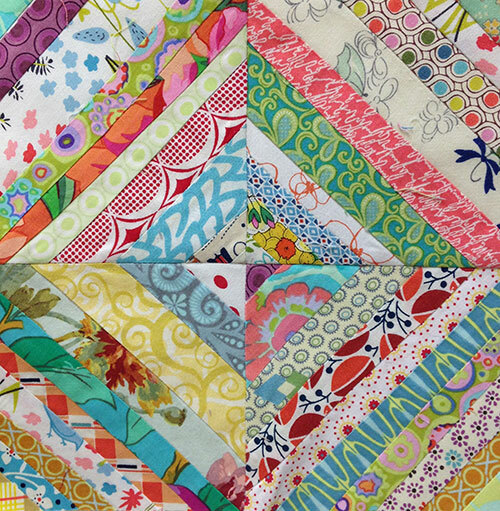 We’ll be learning about string piecing and all the wonderfully creative things you can make with it! 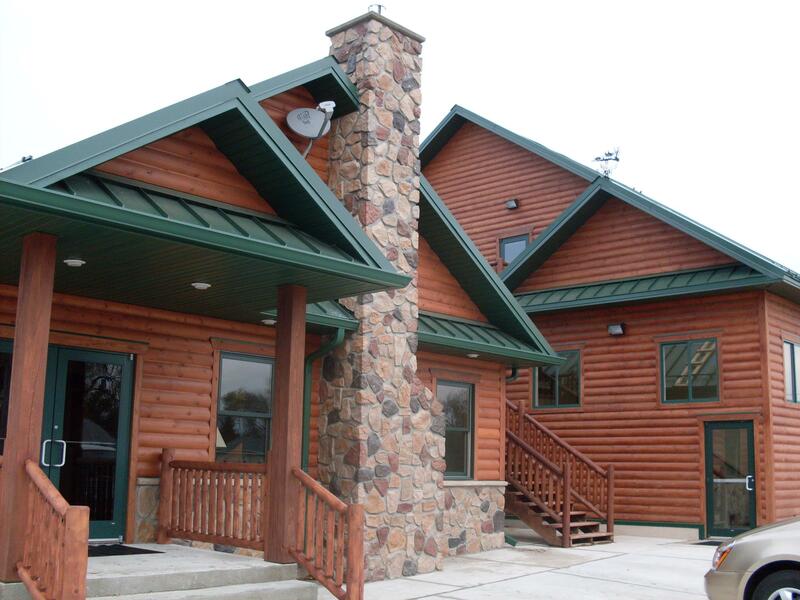 The retreat begins at 7 pm on Sunday, Sept. 24 and ends at 11 am on Wednesday, Sept. 27. Basic sewing supplies including machine and extension cord; bring your machine’s extra feet. Rotary cutting supplies including your favorite rulers; put a new blade in your cutter! Scraps and strings! Bring as many scraps as you have room for. They should be at least 1″ wide and at least 2″–3″ long. Some should be longer. Larger scraps are fine but string quilts are usually scrappy so more fabrics are better. “Strings” are strips of fabric left over from other projects—bring them along. If you wish to do some precutting, cut your scraps into strips from 1″ to 3″ wide; the edges can be cut at an angle if you like wonkiness. Be prepared to exchange/share scraps with other people. This adds to the fun and makes all the quilts more interesting! Think about a color recipe you might want to use for your project. Do you love batiks? Reproductions? Florals or tiny prints? Bring the fabrics you love in the colors you want to use. We’ll trade and swap and mix it up so that your finished piece is amazing! The recipe for these blocks was blues, greens, blacks and whites. Beyond that, everything worked. 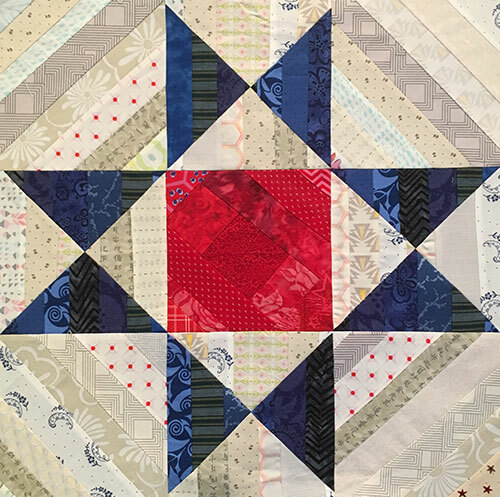 You can use string piecing to create “fabric” and use it in traditional blocks like this Ohio Star. Use a recipe of bright pastels with lots of lights to get this look. 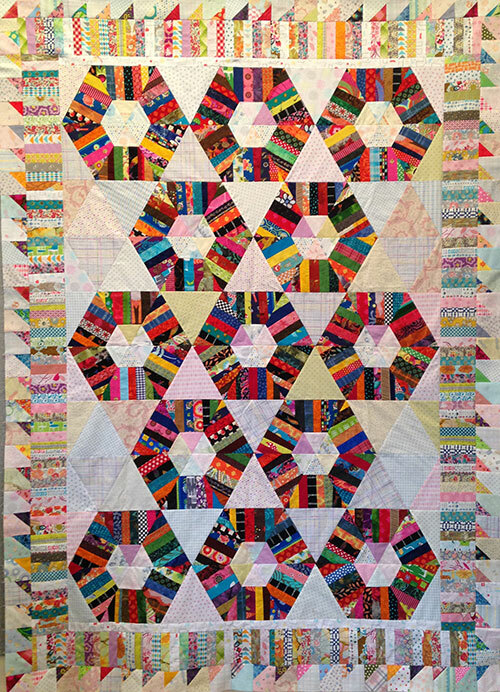 This is a Karen Griska design that uses string piecing for the hexagon sections. I had so much fun making this quilt, and believe it or not, it wasn’t difficult. Honeycomb is available in Karen’s etsy shop. The possibilities for string piecing are endless! Just bring fabrics you love in colors you love. We’ll fill in the blanks with each other’s fabrics and with my huge scrap bag. I can’t wait to meet you in Arapahoe! Questions? 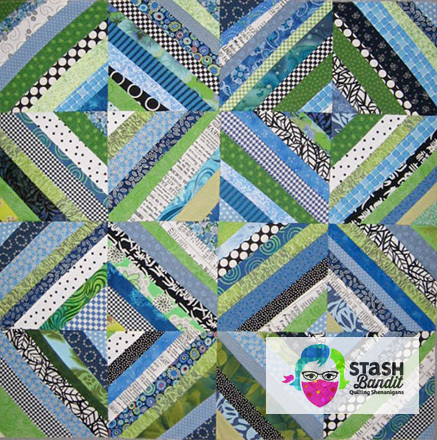 Email diane@stashbandit.net or wagnersquilts@wagnersquilts.com, or call Wagner’s Quilts & Conversation at 308 962 8458. We’d love to have you join us!